important to know how to deal with a case of rat poisoning in case it ever happens to you. If your dog consumes rat poison, whether it be direct from eating a tablet, or indirect, form eating a dead rodent, it is important to act fast. Even though symptoms may not show for up to 24 hours, you need to follow proper procedures to prevent your dog from serious illness which could lead to death. There is a very likely chance that your dog could die if he consumes rat poison and left untreated. However, there are a few different factors that contribute to if your dog will die or not. All poisons will react differently with your dogʼs system. Since the most popular poisons are waraﬁn based, or anti-coagulants, it is safe to assume that these factors are as accurate as possible. Always call your local animal poison control hotline or your veterinarian before attempting to treat your dog at home. Size of your dog - The ﬁrs thing to note is the size of your dog. A 10 pound dog would be more susceptible to one ounce of poison rather than a 60 pound dog. Small dogs are deﬁnitely more at risk. One small tablet of poison may not be enough to even make a large dog sick, but could very easily kill a small dog. For larger dogs, it takes quite a bit of rat poison to kill them. Keep in mind that they will still become very sick and it is just as important to bring them to the vet if you are concerned about his survival. How much poison was consumed - How much poison your dog consumed also has a large impact on the severity of the situation. In some cases the amount of consumption could result in your dog getting extremely sick and in worst cases, even death. The easiest way to calculate how much rat poison your dog would have to consume in order to kill him is to calculate 50mg per kg weight of your dog. When discussing a poison case with a veterinarian, always assume your dog ate more than you think to be on the safer side. Type of poison - The different chemicals used in rodent poison also factors into if and how quickly it will kill your dog. Rodent poisons that are anti-coagulants are more harmful to your dog than other poisons. Some rodent poisons have an ingredient called Bitrex, which is an ingredient that makes the pellets taste bitter. This means your dog is less likely to keep eating the poisonous pellets if they taste bad. Lots of poisons are designed to ʻtaste goodʼ so the rodent will be more inclined to eat them. Old rat poison that has been sitting for a long period of time is also less toxic to dogs compared to newer poison. This is because the ingredients (poisons) in the pellets disintegrate over time. Prevention is the best way to avoid rat poison consumption. If you need to use rat poison around your home, there are several ways to avoid your dog coming into contact with it. If you are concerned that your dog ate rat poison, do not wait for symptoms to worsen. 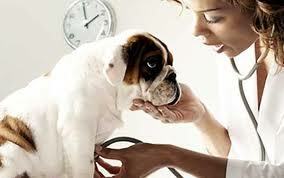 Call your veterinarian as soon as possible to seek treatment. - Place pellets behind fridges, stoves and other large appliances that your dog has no access to. - Keep an eye out for dead rodents in the yard and around the home. Most poisons take a few days to kill a rodent, but the poison will remain in their system. - Put poison on the roof, in the attic, ceiling boards or in a crawlspace that you know can be locked and that your dog cannot access. Keep in mind though, rain and snow can bring poisons from the roof into your yard. - Put poison in areas that your dog does not frequent such as sheds, locked rooms and greenhouses. Keep in mind that if your dog has access somewhere, he will roam. - Have a professional exterminator come and take care of the rodent problem. Although it will cost more money, you can rest assured that your dog will not be going after the poisonous pellets or contaminated rodents any time soon.